Sound socialization can make a positive impact on the quality of life for a puppy. Our pups learn to accept and be perfectly at ease with sounds in general. The goal is to make them more comfortable with environmental sounds and stimuli. We are front-runners with respect to our puppy socialization program. We spend countless hours observing, handling, interacting with and properly socializing our Connemara pups. We believe that proper early stimulation and interaction helps foster high bonding with people, creates companionship and respect, and helps with later training. ￼In the first two weeks, puppies ears are still closed and they are unable to hear. Weeks 3-4, we slowly let them get used to hearing all of the normal sounds around the house and very low, soft music - but do not overwhelm their senses. Beginning with week 5, we play the sound CD for them, increasing the volume every few days. By the time the puppies are seven (7) weeks old, they have been desensitized to many sounds and ignore the sound CD - sleeping, playing and going about their business as usual! These exercises help raise a more confident and relaxed dog when it comes to loud or unusual noise. *We do recommend you continue "sound therapy" through 12-16 weeks of life. BEEN ON several different surfaces: Concrete, Wood, Grass, Dirt, Gravel, Wood Chips, snow (when weather permits), fake turf, plastic and metal grates. PLAYED WITH different types of objects: rolling and bouncing balls, talking balls with lights, soft toys, fuzzy toys, squeaky toys, cardboard items (paper rolls), plastic milk containers, plastic water bottles. BEEN IN different locations: living room, kitchen, yard, garage, kennel, even in a small, safe pool of water or tub. BEEN EXPOSED to many challenges: climbing on and off boxes, up and down small stairs, through tunnels, over small obstacles through a doggie door and so on. EATEN FROM different containers: We rotate shapes, sizes colors of containers and use ceramic or tin bowls. They also eat from a large treat ball or puzzle toy. EATEN IN different locations: in their crate, outside of crate, on kitchen floor, in the play yard. 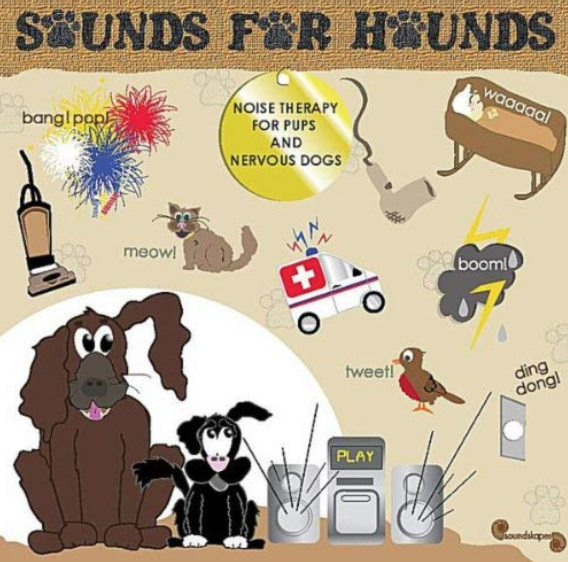 "Sounds for Hounds" CD or download. Beginning with week 5, we play the sound CD for them, increasing the volume every few days. 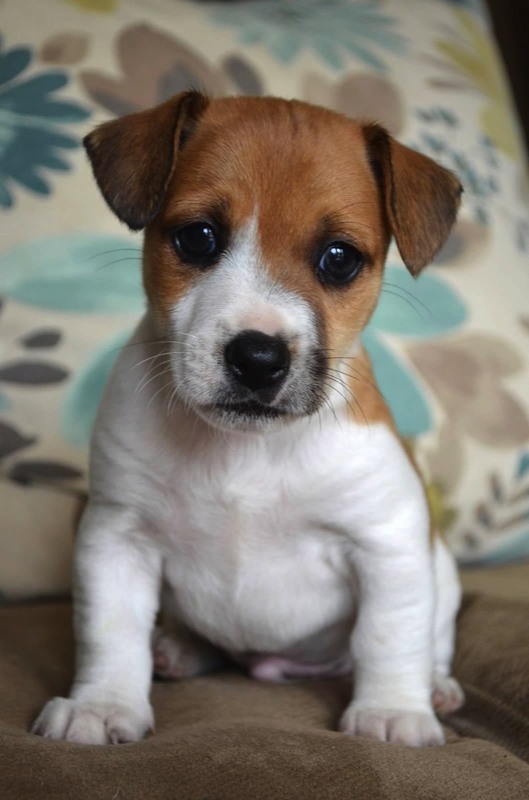 Our Irish Jack Russells are DNA recorded. 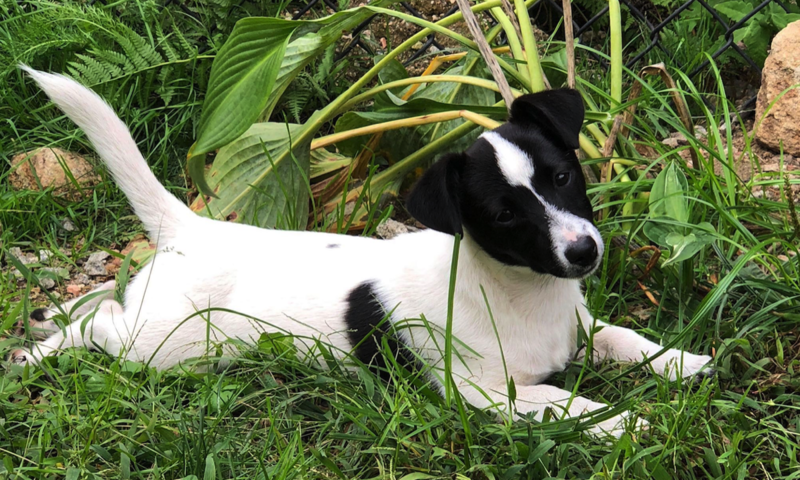 We have Irish Jack Russell Terrier puppies for sale. True Irish Jack Russell Terriers.